Gum Bleaching in Washington, D.C. In order to determine the true beauty of a smile, a high value has always been placed on a healthy-looking gum line. Gum bleaching helps many patients who are bothered by having gum tissue that is dark or less pink than they would like. To lighten this hyperpigmentation or to even out the color of gums, cosmetic dentistry patients are happily benefiting from gum bleaching that uses advanced laser technology to correct this condition. The specially trained dentists at Washington Center for Dentistry offer this gentle, yet effective procedure to help patients achieve more beautiful, healthier-looking gums. 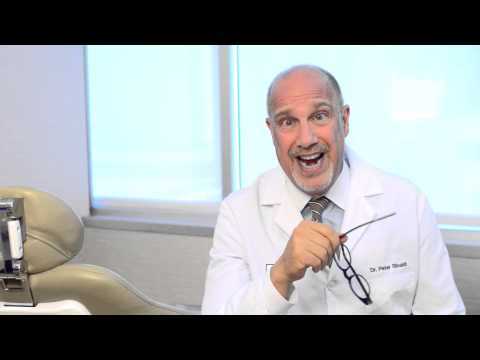 What is Gum Bleaching (Gingival Depigmentation)? Dark gums are the result of hyperpigmentation, a condition where an overproduction of melanin causes darkened skin. A patient’s particular melanin production is usually genetic, so people with darker skin tones are more likely to experience hyperpigmentation. However, people of all races and ethnicities can be prone to dark gums. Another cause of dark gums is poor dental hygiene, where bacteria can buildup on the gums and teeth. Smoking, metal-based crowns and restorations, certain medication use and systemic health conditions are other common causes. Our dentists pride themselves on using the safest, most technologically-advanced equipment around and this is evident with the gum bleaching procedure. The dentists use a specialized dental laser to gently and effectively remove the gums’ hyperpigmentation. The WaterLase® laser is especially effective and is noninvasive with no downtime, so patients can go about their daily lives immediately after treatment. Many dentists report that darker gums make some of their patients uneasy about their appearance, and inhibited about their smile. This can cause some patients to shy away from social activities and avoid living a full, active life. But, the welcome news is that these days, specially trained dentists can offer a simple remedy and a pinker smile. At Washington Center for Dentistry, our highly-trained doctors use this gentle, painless procedure to reveal lighter, pinker gums underneath, often with just one gum bleaching treatment. Results can last anywhere from 20 years to a lifetime! This innovative procedure performed by the talented dentists at Washington Center for Dentistry can lighten gums with one simple procedure. With high-tech gum bleaching, the dentists utilize the safety of a dental laser to accomplish remarkable results. If you're ready to bring out the hidden pink tones out from your healthy gums, contact our office as soon as possible to schedule your one-on-one consultation in Washington, DC with one of our talented dentists.